I have been making new work, while preparing for my artists talk at Anecdotes Design on Saturday October 11th as part of the Folkestone Triennial Fringe. 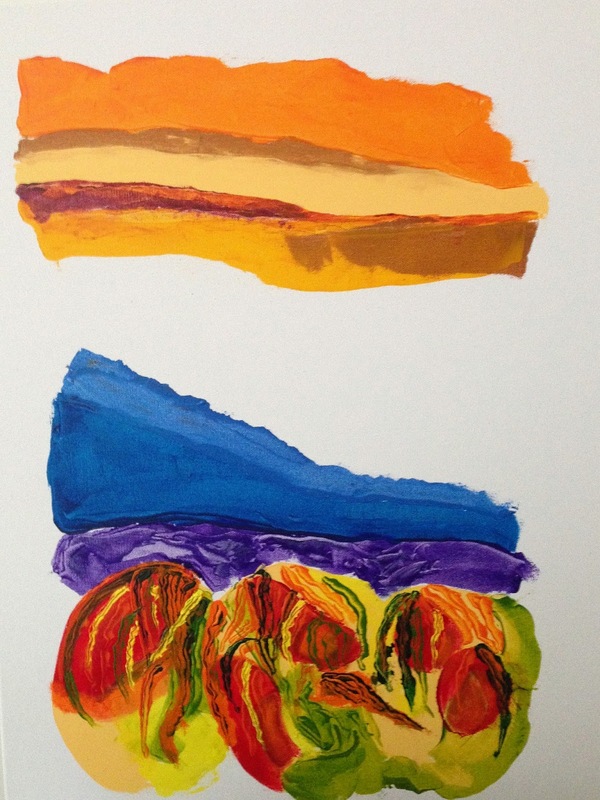 "as idle as a painted ship on a painted ocean"
The next two are acrylic on paper. 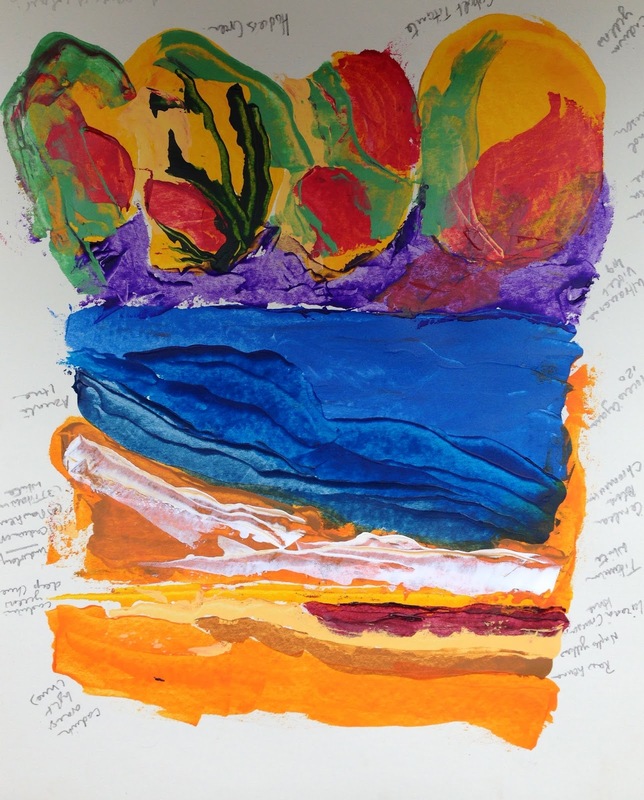 I wanted to keep a record of the colours I was using, and the process reminded me of those prints you see in restaurants and hotels of flowers with botanical annotations. In the painting below I took shapes and colours from the previous two images of works on paper onto canvas where I abstracted the original shapes and explored the space in between, which to my mind is as important to the final piece as the painted areas and gives cohesion to the painting. 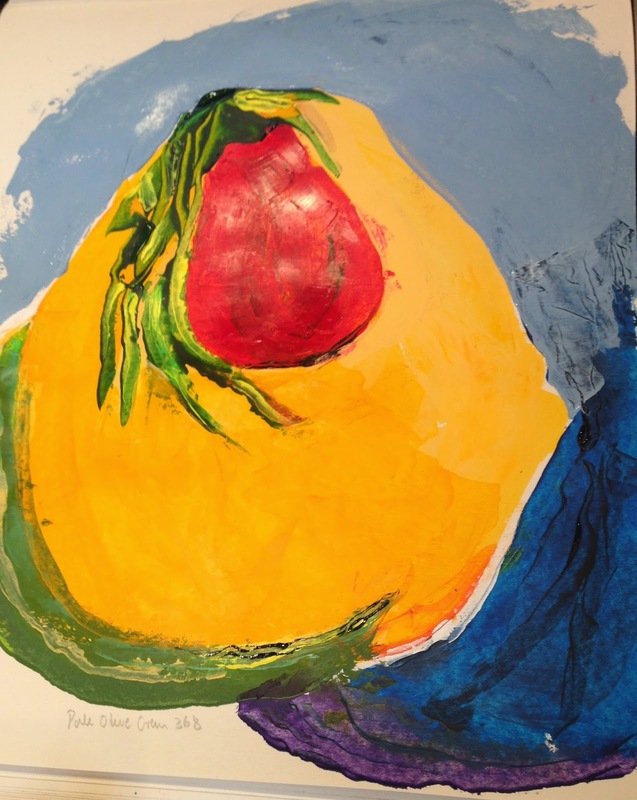 I like the simplicity of the work and how significant the colours have become as colour itself, rather than referencing or enhancing a figurative recognisable object. I suppose that that is the power of abstraction! Hope you enjoy looking at these. I am enjoying preparing for this! I find it hard to talk about my work, but enjoy the process of reflection and revisiting ideas and sketches to get a feel for what I want to say. Hopefully some of you can make it! 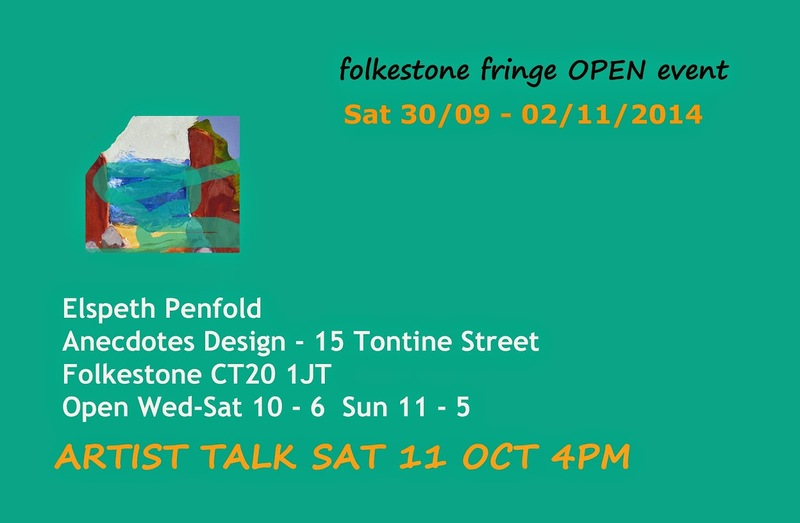 A big thank you to Barbara at Anecdotes Design for organising this event as a part of the Folkestone Fringe Open. I am looking forward to another visit to Folkestone to visit some of the artists works at the Triennial. Its worth checking out the Triennial blog before going as there is so much to see. and don"t forget the Folkestone Fringe Open. There are some wonderful pieces like "The Castle"by artists Hollington and Kyprianou, who are making subtle and sometimes less subtle interventions in the town's Wilko Hardware Store! "a shifting, changing homage to the everyday and ordinary of 2014, overlapping the language of the museum and the gallery with that of the retail environment at the point where sculpture, product design and branding intersect." I have a degree of empathy with this as my two most recent exhibitions have involved displaying work in retail shops and I have enjoyed the experience and the dialogue that ensues about my work. At Whit knits in Whitstable (see previous blog postings) someone said to Linda Tilley, but this is a work of art, referring to my window display of the woven and knitted Lobster. Interesting how hopefuly the art shines through and doesn't need to be placed in the gallery to make it art. Hope you enjoy reading this and have time to visit.